Historic flower bed landscape is saved! Our campaign to save 28 historic flower beds has paid off. The Council’s Land and Environmental Services has agreed that although their gardeners can no longer plant these beds several times a year with bulbs and annual plants, they will be planted with more sustainable alternatives. The Council offered three options and the Friends of Victoria Park and Whiteinch Community Council have both agreed on Option 2 which involves planting the beds with hardy ornamental shrubs such as dwarf hydrangeas and miniature rhododendrons - both popular forms of planting in Victorian gardens. It’s estimated this will save the Council £21,000 a year and cost £2000 a year to maintain although there will be an initial one off outlay of £16,000. Planting the 28 beds with annuals costs £23,000 a year. The Council will continue to plant bulbs and flowers in the 30 remaining flower beds and the Friends has asked that the scheme should be planned so that the shrubs and flower beds complement each other to maintain the high impact of the gardens. ​The view from ‘the No 1’ bench on the hill above the large expanse of formal flowerbeds was featured on the well loved TV series Still Game. Both the Friends of Victoria Park and Whiteinch Community Council felt the alternative options offered of ornamental grasses or wild flowers would not work well on the formal flower beds but the commemorative arches surrounding the flower beds may be filled with more wild flowers where this won’t upset the habitat for the rare Andrina bees that are nesting there. Elizabeth Brown, Vice Chairperson of the Friends said: “We would like to thank the three Councillors for Victoria Park Ward, Ade Aibinu, Feargal Dalton and Maggie McTernan who all gave us their support. We would also thank Land Services staff for looking at this issue again as we know they are under enormous pressure to reduce their costs. We would also like to thank everyone who supported the campaign and turned out to our demonstration in June. “It is still sad to lose the colourful annual planting on 28 of the 59 flower beds to save just £23,000 a year, but this option at least means we will keep the formal historic layout of the park. It gives us the heart to press on with our efforts to obtain funding for a fernery at the Fossil Grove which has been going downhill since annual planting stopped almost a decade ago. The Friends of Victoria Park, community councils and other groups are working together on the Victoria Park Action Group to form a Trust that will seek to work with the Council to improve the park. 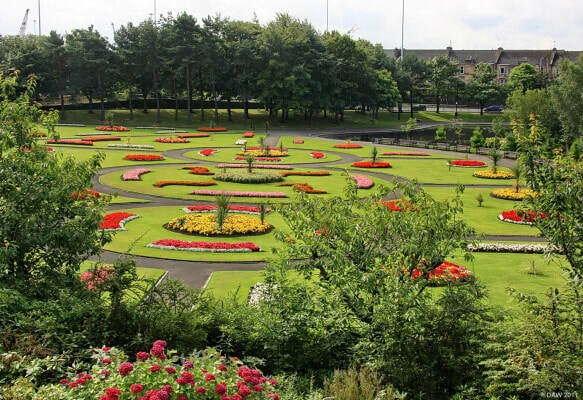 A meeting requested at the beginning of June by Friends of Victoria Park about the City Council's plans to grass over 28 of the magnificent formal flower beds finally took place on Monday 20 August at Whiteinch Centre. 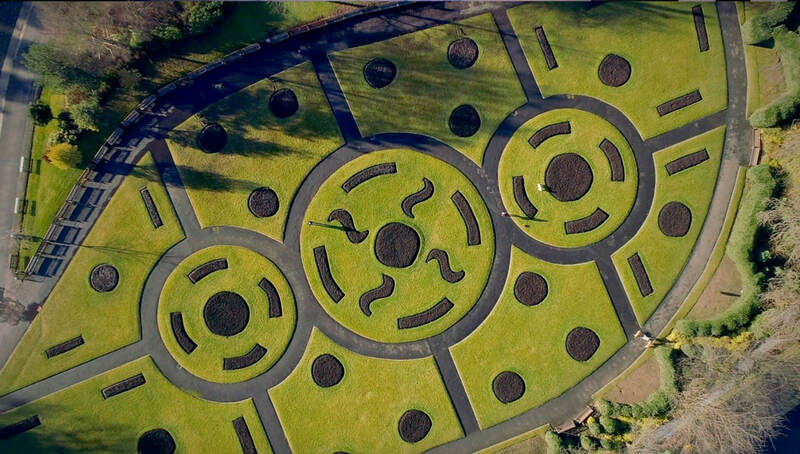 The officers acknowledged that the formal Victorian Gardens in the park which are listed by Historic Environment Scotland as a designated landscape are unique but argued that this can't be used as case to continue planting. They intend to plant all 59 beds with hyacinth bulbs once this year's summer bedding is lifted. If the proposal goes ahead as they expect, 28 of the outer beds will be grassed over next April when the bulbs are lifted. All three of Victoria Park's Councillors attended the meeting, Ade Aibinu, Feargal Dalton and Maggie McTernan. Land and Environmental Services were asked to provide more information on what they expect the savings to be and agreed to look at alternatives such as herbaceous planting that would need to be maintained but not replaced every season - however they gave no guarantees. Another meeting has been set for Monday 17 September for Land Services to report back on the savings and the alternatives to grassing over. 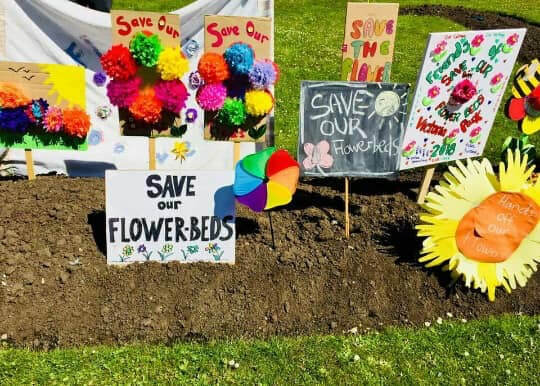 In the meantime, can we appeal to everyone who loves the park to contact their councillors and give the Friends of Victoria Park the show of support we need as the flower beds are still very much at risk. We know how concerned the city is about the loss of our heritage in the wake of the dreadful Mackintosh fire - these wonderful flower beds are part of our heritage too. You will find contact details for Council Leader Susan Aitken and all the other councillors including those for Victoria Park Ward here. Friends of Victoria Park Chairperson Michael Herrigan said he was horrified by the proposals. The flower beds have been a key feature of the park since it was built in the 1880s. Councillors Ade Aibinu and Maggie McTernan attended the protest to show their support and together with Councillor Feargal Dalton they have been seeking a meeting with Land Services to discuss other options. Unfortunately, the Friends of Victoria Park have been told this meeting will not take place before mid August at the earliest but the councillors have assured us that any plans to grass over will be put on hold pending these discussions. 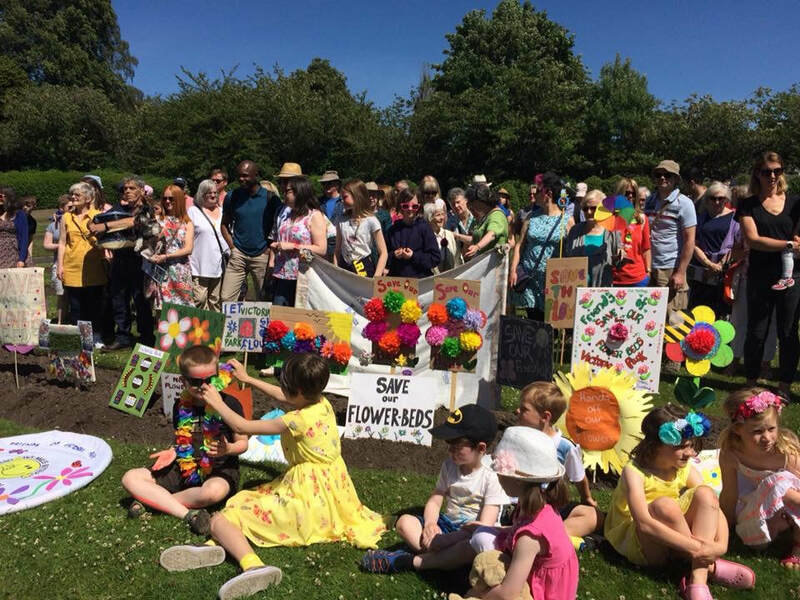 The Friends of Victoria Park are seeking a solution that will treat the 59 flower beds in the planting scheme in a planned, coherent way and while appreciating their financial difficulties, we believe the council could consider alternatives such as herbaceous planting. The Friends has committed to seeking funding to plant a fernery at the fossil grove which the council gave up planting some years ago and we simply don't have the resources to take on the main flower beds on top of the fossil grove project at this time. Many of the attractive banners produced for the event have been stored in case further protest rallys are needed. The event was covered by the Evening Times and Glasgow West End Today. If you would like to learn more about the birdlife in Victoria Park, come to our Wildlife Garden Festival events on Saturday 19 and Sunday 20 May. On the Saturday, local bird enthusiast Susan Harris who supplies many of the wonderful photos on the Friends Facebook page (including the heron above) is leading a walk and talk. Susan is down at the park most days and follows the nesting season with great interest. To join this event just meet at the big pond adjacent to the play area on Saturday 19 May at 10.30am. The walk will last for an hour or so if you want to head home in time for the Royal Wedding! The next day from 10.30 to 12.30, Dr Paul Baker will demonstrate bird ringing at the small pond and explain why it’s done and what we can learn from it. The Friends of Victoria Park has arranged these events in support of the RSPB’s Glasgow Wildlife Garden Festival 2018. You are welcome to bring your children along. Both events will be weather permitting. What can be done to ensure a better future for Victoria Park. What’s been happening at the Fossil Grove and what’s planned now? And should The Friends of Victoria Park campaign against Council plans to grass over almost half of the formal flower beds at the end of this year? These are three of the important topics to be discussed at this years AGM on Wednesday 16 May at 7pm in St Thomas Aquinas. 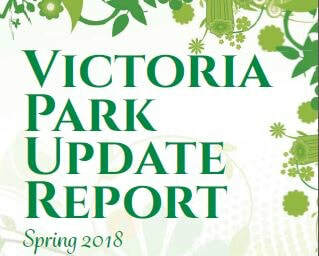 Over the past year, the Victoria Park Working Group has brought together community councils, councillors, the Friends of Victoria Park and wide range of other groups with an interest in the park to discuss how we can get organised and agree the best way forward to improve the park. 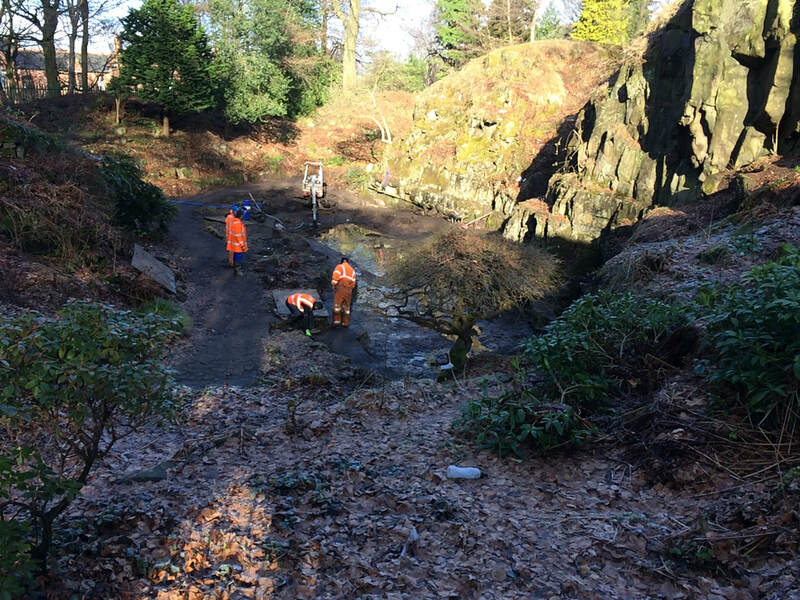 Steps are now being taken to set up a SCIO - a Scottish Charitable Incorporated Organisation that could raise funds from the Lottery and other charitable bodies to improve the park. Neil Lovelock of the Dumbarton Road Corridor Environmental Trust who has provided a lot advice and support to the group over the past year will explain what’s been happening and where we are now. In recent months, the Friends of Victoria Park has succeeded in having the overgrown pond at the Fossil Grove cleaned out and relined in clay. This followed extensive work to clear tons of overgrown vegetation around the rock faces. Our next goal is to establish a beautiful fernery on the site - a more sustainable option than the annual planting which is no longer being carried out by Land Services. International fern experts are very excited about the proposals which reflect the fact that the tree fossils themselves were originally ferns. Funding applications are being submitted to buy the plants and equipment for volunteers to plant up the area. Former Chair of the Friends, Landscape Architect Richard East will give a short talk on what’s happening and the help we will need from you. Finally, Glasgow City Council’s Land Services has told us they intend to grass over 27 of the seasonal flower beds totalling 374 square metres at the end of the season unless volunteers take them on. That is almost half the beds in the above photo. Removing the beds will destroy a very striking designated historic landscape and an important part of our heritage. Will you join forces with us to appeal to Glasgow City Council to continue the annual planting? Finally, while the Friends Facebook group is followed by almost 550 people who love the park, a much smaller number are actually paid up members of the Friends. Membership has been maintained at just £5 a year per person. Please join us. All memberships bought now will be valid through to our 2019 AGM. You can join on the night or through the website here. Whiteinch Library is hosting a great new series of local and family history talks. Their first event is on Wednesday 24th January when Gillian Mawdsley, one of the Friends of Victoria Park will talk about the park's history. The talk will be from 6.30pm to 7.30pm on Wednesday 24 January. 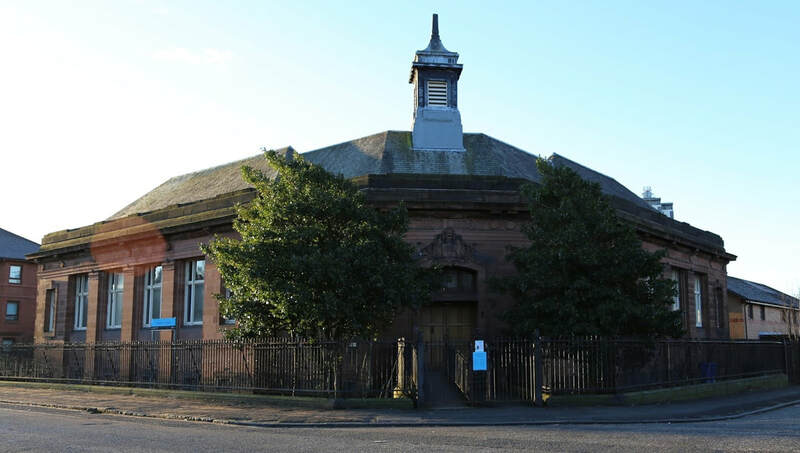 You can find out more about the talks series from Whiteinch Library. Join us in some tree dressing! At 11am on Saturday 16 December, please join us at the Victoria Park for some Christmas Tree decorating. 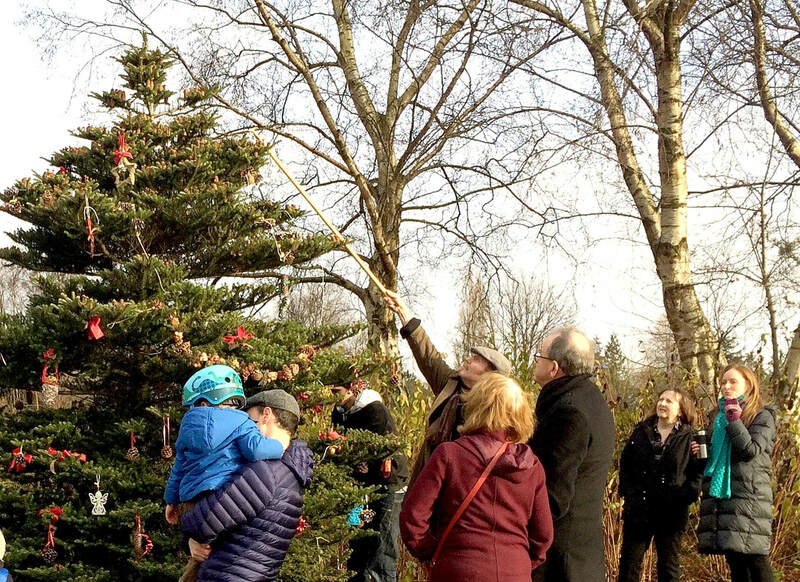 We introduced this event last year and the tree close to the beautiful Oswald Clock at the small pond was a very cheerful sight over the festive period. We have sprayed some pine cones and have ribbons ready to hang them up but we would also welcome any spare decorations or even better, some home made ones. If we have too many - we might do up two trees to really put us all in a festive mood. Children are very welcome accompanied by an adult. Local crafts teacher Jo Logan has made some suggestions for weatherpoof home made decorations on our Facebook page. We can round the whole thing off with a few Christmas carols and songs. This is at least one Christmas outing where you can have some fun and a blether with local people and you don't need to bring your purse!